SEATTLE, Jan. 6, 2014 /PRNewswire/ – Redfin (www.redfin.com), the technology-powered real estate brokerage, today released its latest survey of real estate agents. Data was collected from December 12 through December 14, and reflects responses from 468 Redfin real estate agents in 22 major metropolitan markets across the U.S.
Indicate that it is still a good time to sell, but less so: In the fourth quarter, 65% of agents said that now is a good time to sell, compared to 72% in the third quarter and 86% in the second quarter. At the same time, agent perspectives on buying remained steady, with 56% of agents saying it’s a good time to buy compared to 55% last quarter. Say that buyers are ready to make concessions for the right home: In the fourth quarter, 35% of agents said that buyers are “willing to pay more” to find a home compared to this summer. At the same time, about 30% said buyers were “flexible on features,” held “lower expectations” for how far their money will stretch, were “looking to new construction” because of limited inventory, and were “prepared to waive contingencies” to win a bid. Say that buyers continue to be frustrated by inventory: In the fourth quarter, agents cited “limited inventory” (87%) as the biggest challenge for buyers. Competition from bidding wars was buyers’ second largest concern, but notably this response dropped to 65% from 79% in the third quarter. Report that sellers believe their home is worth more than market value: In the fourth quarter, 63% of agents said that sellers have “unrealistic expectations” about the value of their home, nearly flat from the third quarter. At the same time, 31% say that sellers are frustrated with the number of homes available that they would be interested in buying. Believe that if mortgage rates top 5.5%, it would significantly limit home sales and price gains: With the expectation of higher mortgage rates in 2014 as the Federal Reserve reduces its stimulus program, 39% of agents believe that rates exceeding 5.5% would harm home sales and price growth. 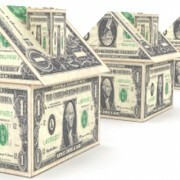 At the same time, one-third of agents surveyed believe that mortgage rates would have to reach 6% to have that effect.